A business needs a blog is the common wisdom amongst most marketers. Maybe you have one, maybe you are thinking you should. If you aren’t as committed to your business’ blog as you should/could be, here are 11 reasons to stay on the blog bandwagon. 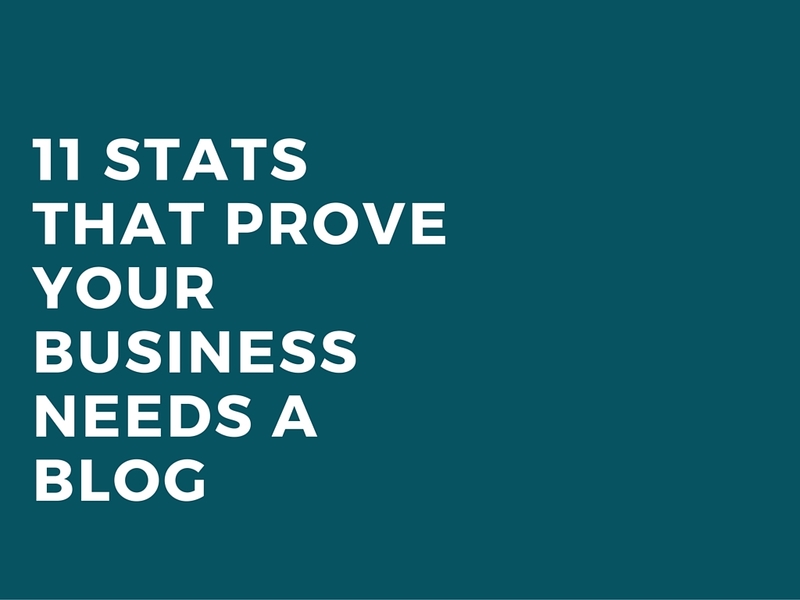 Here are 11 stats that prove you need a business blog. TMG Custom Media (now Manifest), in a content marketing study, reported 90% of consumers think custom content is useful. Once a customer has read your blog, 60% of them most likely feel more positive about your company, Axonn found. If you are working to develop good customer relations, your blog is a great introduction. TMG also found that 78% of people feel that companies who blog are interested in building positive relationships. Blogs are a user-friendly way to offer interesting and knowledgeable information about yourself and your company. Consumers read them, enjoy them and think positively about companies that do it. Of course, you want to promote your company via blogging, but your content should also have a learning component for readers. BlogHer reports that for American online consumers, 81% of them trust information they read on blogs. That gives your company a big responsibility to share engaging content that also informs. Word of mouth – who doesn’t want some of that marketing love? Let your blog do the talking for you. 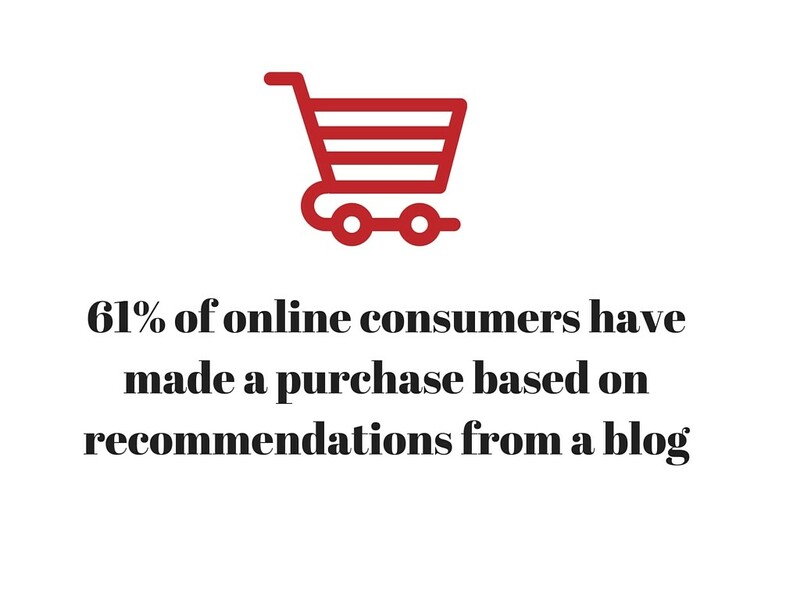 BlogHer says 61% of online consumers have made a purchase based on recommendations from a blog. Make sure you also have a solid blogger outreach aspect to your content strategy. These bloggers have dedicated readers who will trust recommendations they make. Every marketing strategy you choose needs to have a solid return on investment. For marketers who take the time and make blogging a priority, HubSpot says they are 13 times more likely to enjoy a positive ROI. Yes, you have the time to blog! Many companies are placing a priority on their inbound marketing. Your blog may be the hardest worker in your inbound portfolio. According to HubSpot, companies that blog have 97% more inbound links. 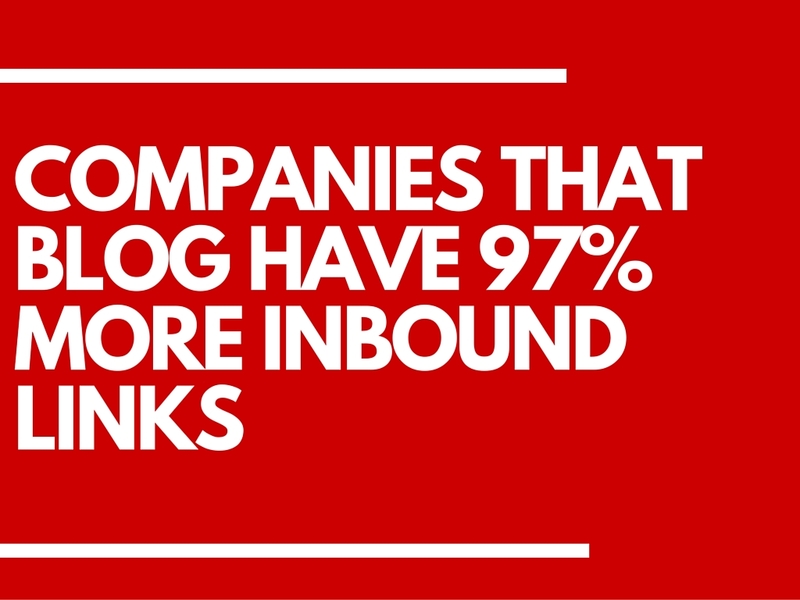 That’s nearly double the amount of inbound links businesses without blogs have. Staying with your website, a blog can increase your chances for being found via search engines. 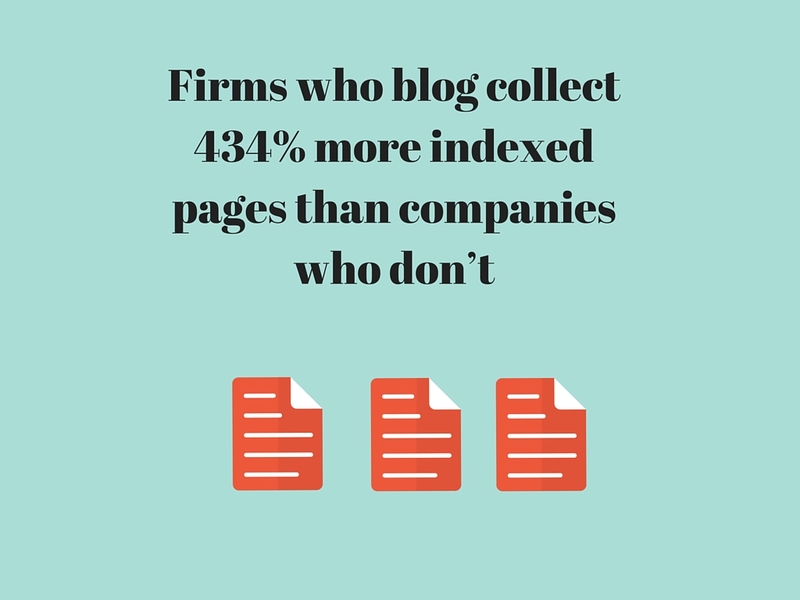 HubSpot reports that firms who blog collect 434% more indexed pages than companies who don’t. Indexed pages are important because having more pages on your site betters your chance of being found by Googlebot and the other search engines trolling the web for good information. No matter what you do, customers are probably pretty important to your bottom line. Not only can your blog build a solid relationship with your customers, you can secure some new ones. This does come with a little extra blogging work for you however. HubSpot learned that of those companies who blog multiple times a day, 92% of them have gotten a customer from that very blog. If the thought of so much blogging is overwhelming, don’t give it up altogether. HubSpot also found that just blogging daily, marketers acquired new customers – 82% of businesses actually. Of those companies just blogging monthly, ‘only’ 57% of them reported getting a customer via their blog. Imagine receiving new customers over more than half of your competition. A good blog can be a workhorse. Getting started is often the hardest part. You probably won’t see much ROI in the first few months and that could hurt your motivation. Don’t let it! Commit to a higher number of postings in the beginning and have a backlog ready for those inevitable busy times. As we mentioned above, blogging will help build inbound links and increase your indexed pages. But once you get those first few months of posts published, your blog takes over some of the work. 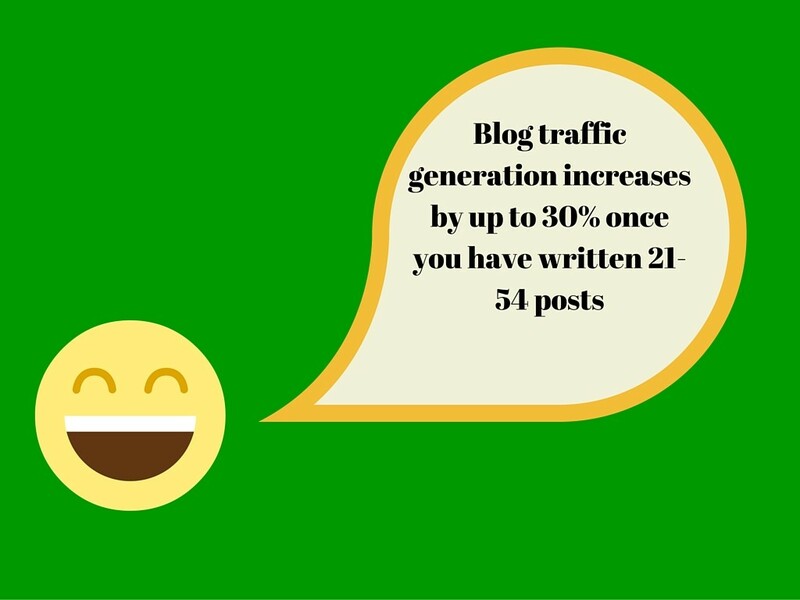 Blog traffic generation increases by up to 30% once you have written 21-54 posts, according to TrafficGenerationCafe. At that point, you have enough pages to be indexed by Google as well as attract links from other websites. Yes, you want people reading your blog, but you also want them discovering you on your other company website pages. Blogs do that too. HubSpot found that blogging at least 20 times a month or more, you’ll get five times the amount of website traffic compared to firms that are only blogging about four times a month. Blogs create an opportunity for customers to find you. According to InsideView, already 33% of B2B companies are using blogs. Lead generation is a great reason to keep it up – B2B marketers who blog generate 67% more leads than those who don’t. In addition to the other 10 reasons listed here, B2Bs have an extra incentive based on that number alone. These 11 stats are pretty impressive, and there are lots more measurements from many other content marketing companies about the importance of blogs when it comes to customer acquisitions, customer retentions and overall inbound marketing success. And blogging only takes your time. Yes, time is precious, but if you review your marketing strategy and where you are putting your money, you may find replacing a paid social media campaign with an educationally entertaining blog may provide better ROI for your business. Your blog will continue working for you, even after you head home to enjoy some personal time. How are you using your blog to boost your business and get more clients?